An automobile is a major investment. It’s an item that will be with you for years to come, allow you the freedom of travel and offer dependability when you need it most. Naturally, a purchase that’s this important is going to cost some hard-earned cash. More often than not, that cash amount exceeds what most people have on hand. Not to worry! 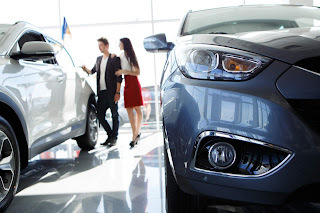 Some of the best car dealerships in NJ are able to offer affordable – and reliable – used vehicles and work with you in financing so that crucial purchase is put within reach. According to an April 2018 news release from Kelley Blue Book (KBB), which is the authority when it comes to auto values, the average price of a new “light” vehicle this past spring was $35,285. This is an increase of roughly $700 compared to this time last year and for many Americans, it’s a lump-sum amount that’s out of reach. “Average transaction price growth was headlined by SUVs, particularly in the mid-size and full-size segments,” KBB analyst Tim Flemming said. “Although fuel prices were up last month, SUV sales remain strong and new models like the Chevrolet Traverse and Lincoln Navigator helped elevate their respective segments." If you aren’t looking to take the brand-new route, the best car dealerships in NJ will be happy to work with you when it comes to pre-owned vehicle purchases or financing. Whether you want to work with a bank for a loan or the dealership for financing payments is up to you; both parties are going to be happy to lend you the amount you need for the purchase. Of course, this comes with repayment terms, duration of the monthly payments, interest rates and more. According to DigitalTrends.com, stretching out the repayment process can actually decrease the cost of the vehicle because you will have paid less in interest for your loan. This is just one consideration when it comes to taking the plunge and getting behind the wheel of a new (to you) motor vehicle, but it’s an important one. While there’s no “typical” car or truck, there is the Toyota Camry. According to Car and Driver magazine, the Camry was the third most-sold car for 2017 – with more than 387,000 rolling off the production line that year and into driveways across the globe. A certified pre-owned 2015 Toyota Camry from one of the best car dealerships in NJ is currently on the market for an affordable $17,000 with just 61,000 miles. Given the recent production year and relatively low mileage, this price is a great example of what those looking for new wheels will have to consider financially.